Silvergate Media is celebrating a triumphant 2019 Annie Awards having secured a trio of wins for its hit Netflix animated adventure TYV series, Hilda. 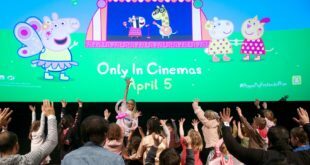 The series took home accolades in the Best Animated TV Production for Children category, as well as Character Animation and Writing for an Animated TV/Broadcast Production. At the 46th Annie Awards, held on Sunday February 2nd this year, Hilda was the most awarded TV series of the night. “We are truly delighted that Hilda has been recognised for its outstanding achievement”, said Waheed Alli, chief executive at Silvergate Media. 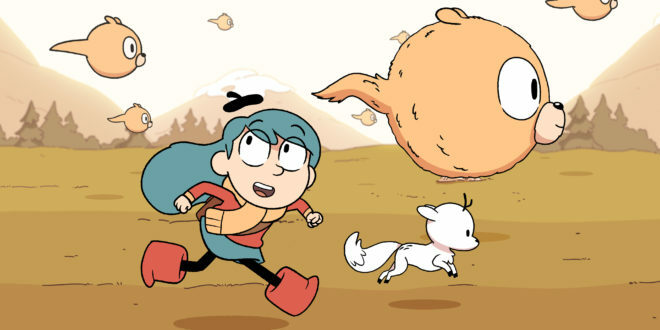 “When we set out to make Hilda we had a clear vision, inspired by Luke Pearson’s extraordinary comics, for an animated children’s series that set the bar high in terms of storytelling and animation and would give audiences something truly special. Co-produced by Silvergate Media and Mercury Films, Hilda is now available in 130 countries on Netflix’s global platform and Silvergate is currently lining up FTA broadcasters for the show. The animated 13 x 22-minute episodes from series one, aimed at kids aged six to 11 years, feature the voice talents of Game of Thrones’ Bella Ramsey in the title role of Hilda and a theme song by Grimes. The series debuted on Netflix in September 2018 and secured a second season commission within a month of launch. The 2D animated series follows the adventures of a fearless blue-haired girl as she travels from her home in a vast magical wilderness full of elves and giants, to the bustling city of Trolberg, where she meets new friends and mysterious creatures. With her bold adventurous spirit and a vividly imagined world, Hilda is delighting fans of the original comic and finding new audiences around the world.